Air Canada rouge touched down at Venice Marco Polo Airport, marking the start of new non-stop seasonal service from Montreal’s Pierre Elliott Trudeau International Airport. Celebrations were held at both airports to inaugurate the twice-weekly service. 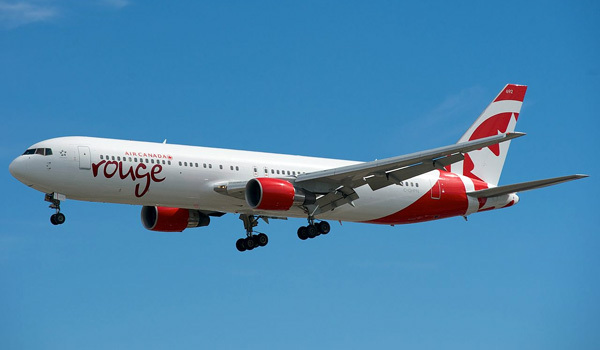 Service between Montreal and Venice will be operated by Air Canada rouge twice weekly through October 11, 2015 with a 280-seat Boeing 767-300ER aircraft offering a choice of premium and economy cabins. Air Canada rouge now serves Venice from both Montreal and Toronto during summer 2015 and offers the most seats of any airline between Canada and Venice during the peak summer season this year.